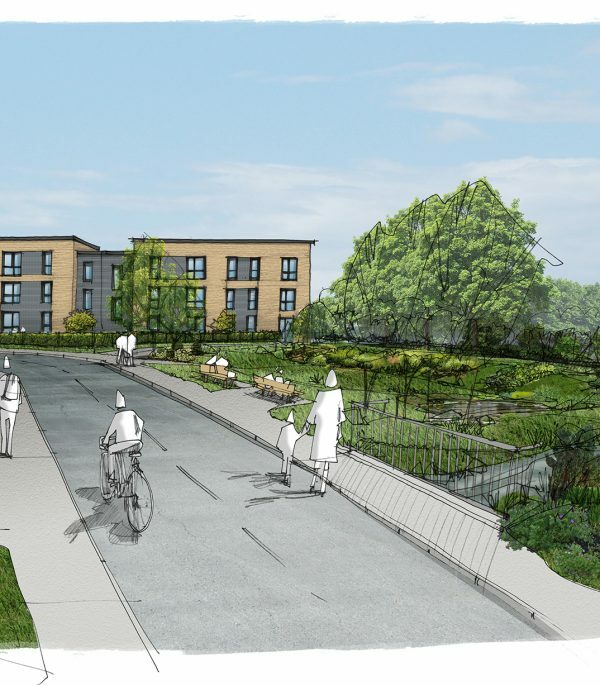 Cumberland Way, Monkerton is a major new residential development for Exeter, and an important piece of the sustainable urban extension currently being delivered to the north east of the city. The 7.4ha development will deliver 250 dwellings, with a range of house types. Reserved Matters consent was secured in May 2018 on behalf Taylor Wimpey. 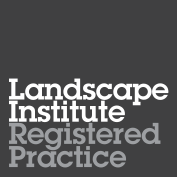 LHC provided urban design, architectural and landscape design services. I would like to thank you all personally for the effort you have put in to the site to date. Your patience, hard work and professionalism have lead us to this success, and should lead us to a development we are all proud of. The buildings will be predominately 2 storeys high, with 3 storey apartments providing focal points/visual interest at key points in the site. 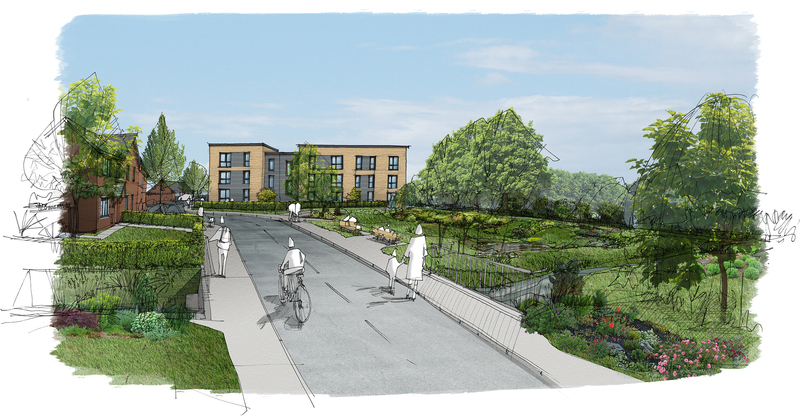 2 – 2.5 storey dwellings are proposed throughout the primary route, with 2 storeys for the remainder of the site, with lower density housing feathering the development towards the sit edge. 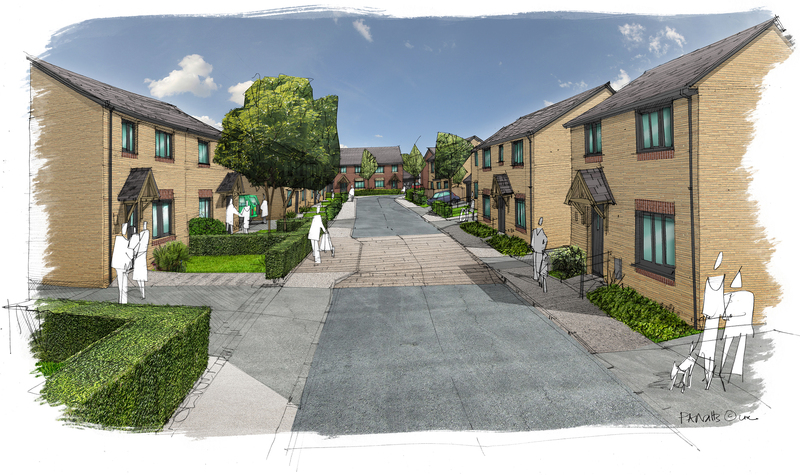 House types will include 1 and 2-bed apartments, and 2, 3 and 4-bed terraced, semi-detached and detached houses. A total of 87 properties, representing 35%, will be affordable and 4 units are specifically designed to accommodate wheelchair users. The architectural design and layout has been informed by the local character of Exeter and particularly the nearby village of Pinhoe. Red brick with buff brick details, buff bricks, grey window frames, contrasting brick details, dark grey roof tiles and a variety of porch details. 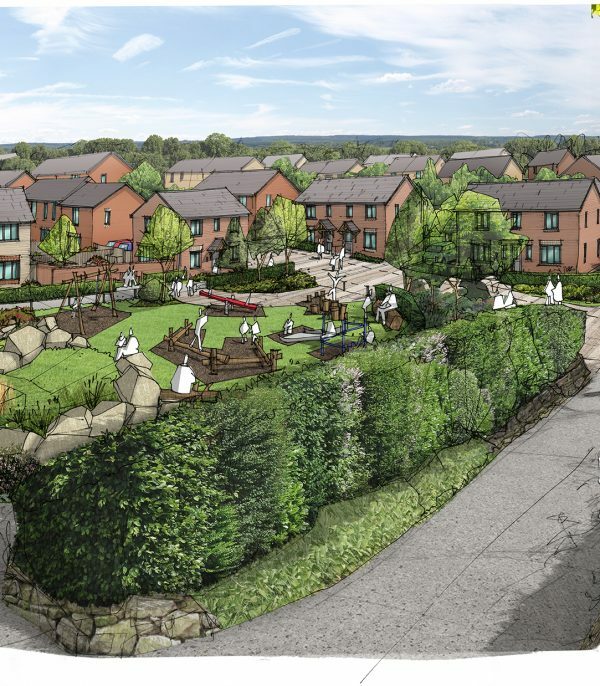 Clear character areas will be created within the scheme through the use of materials and landscape features, with lower density towards the northern and western edges of the site. 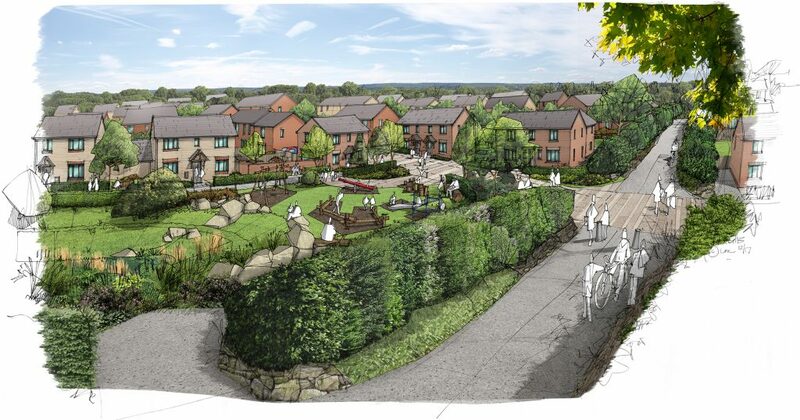 Dwellings will be set behind boundary hedges and the proposed landscape scheme will create a green infrastructure framework that links to wider landscape. 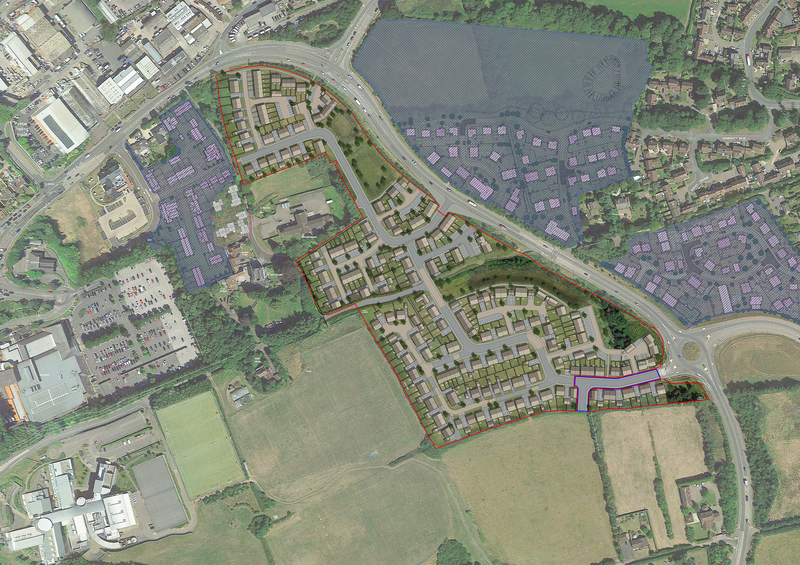 Key existing site features are retained, including the native boundary hedgerows and existing trees to the site boundaries, and reinforced with a new multi-functional landscape framework. The new landscape spaces are concentrated to provide generous open space. This avoids the creation of poor-quality left over pockets, helps to establish a clear identity for the site and creates opportunities to enhance biodiversity. Further biodiversity enhancement features include bird and bat boxes; while a wildlife area, centred round an existing badger sett, is provided in the south eastern part of the site. A play area is provided within the centre of the site, connecting to the wider open space running to the south of Hart’s Lane and providing a focus for the development. A distinct hierarchy of streets will be created, enclosed by consistent building lines and clearly defined front gardens. Front gardens are defined by hedge or shrub planting, which will soften the character of the street. All streets have been designed with pedestrians as the priority, from primary routes with crossing points, to side roads and narrow places to encourage lower vehicular speeds, to shared space and mews type streets.